The Nigerian Government Tuesday denied being behind the plan to oust the Benue state governor by a group of lawmakers led by an already impeached speaker. The lawmakers seized the state assembly Monday morning, with armed police condoning off the premises to serve an impeachment notice on the governor, Samuel Ortom. The senate president, Bukola Saraki and speaker, Yakubu Dogara described the incident as “desecration” of democracy. The presidency insisted it was not involved in the crisis. 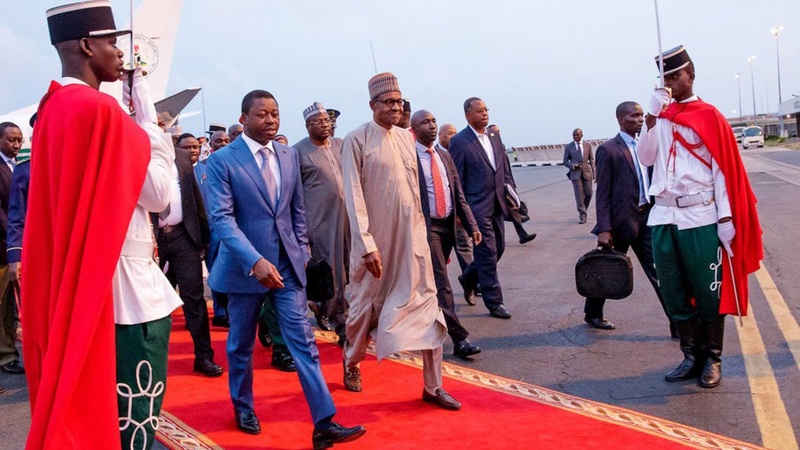 “President Buhari will never be part of any unconstitutional act, and any attempt to link him with the inglorious past, when minority number of lawmakers impeached governors, will not stick”, spokesman to President Muhammadu Buhari Femi Adesina said. The eight members lawmakers of the ruling All Progressives Congress, a party Ortom dumped for Peoples Democratic Party (PDP) taking along with 22 members from the 30-man assembly. Terkimbi Ikyange, who leads the eight that wanted to impeach Ortom was sacked by a majority of the lawmakers afterwards. By not interfering in the Benue crisis, Femi Adesina said Buhari was simply obeying the principles of separation of power. He said the president should not be criticized for following the dictates of the law and for not interfering in a state crisis since it is not within his power to do so. “When it suits them, they preach separation of powers and true federalism, and in another breath, they call on the President to interfere brazenly in affairs at state level,” Adesina said. “People who stoke fires by deliberate acts of omission or commission, and then summon the President to come and put it out will find that this President will be guided by the Constitution at all times, no matter the attempt to entangle him in unwarranted controversies,” he said.